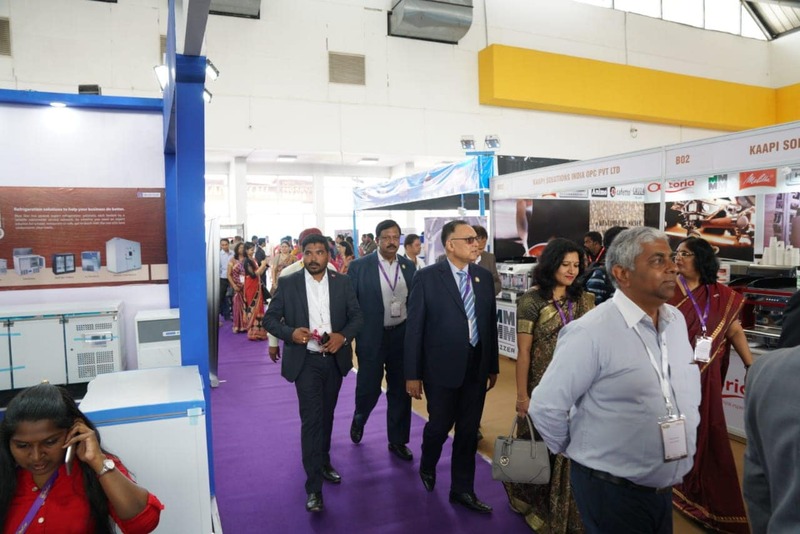 I was at the India HoReCa Expo- PHA event held at Hitex Hyderabad on 4th, 5th and 6th October 2018. 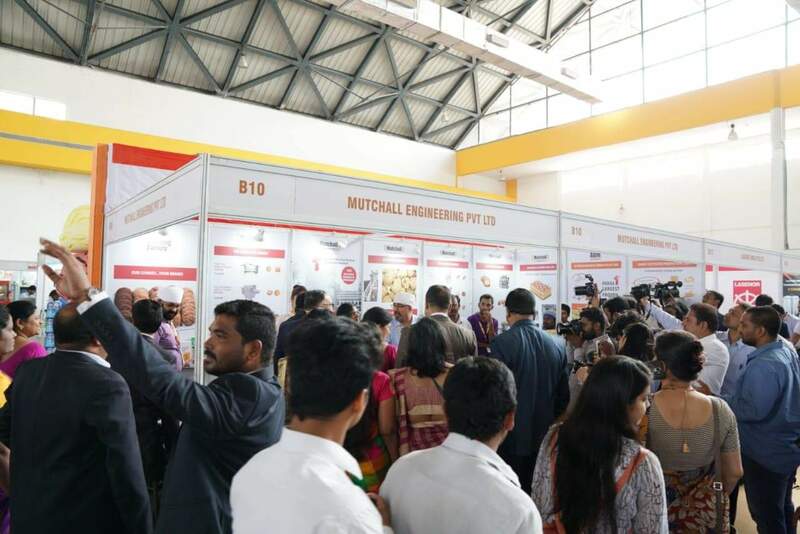 The expo brought together the industry professionals, academia, students as well as allied partners, suppliers and manufacturers. There were industry stalwarts who brought rich knowledge and experiences making the interaction with them extremely engaging. Got to witness many best practices of different hotels and also their standards and procedures used to WOW their guests. It was a unique forum as many hotels were participating such as the ITC, Westin, Marriott, Novotel and The Park to name a few. Representative faculty members and students of all Hotel Management colleges of Hyderabad were present in this extremely empowering event. The students too had activities lined up for them be it interacting with the professionals, participating in the quiz competition or rating the Wow tables. Highlight being the launch of the PHA Yuva in Telangana. I was a part of the panel discussion with the topic- Unresolved issues in Housekeeping. It was enlightening and I could quote many examples from The Park Hotels and our own MT program offered at the Apeejay Institute of Hospitality and the housekeeping exposure and inputs that they get. The event was covered in the media and interviews/ sound bites were taken from some of us. I am grateful to my organisation for allowing me to be a part of this event and to Professional Housekeepers Association for inviting me to this august gathering that proved to be a great platform for knowledge and experience sharing as well as ideating. Here’s a brief about PHA and PHA Yuva. PHA introduces itself as a platform for Housekeeping professionals from hospitality, facility management, healthcare, retail, educational Institutions, training institutes and government bodies to share experience and best practices. They say food is a great unitor and drinks add all the philosophy, gyan and the daring to do something extraordinary. True to that saying; great beginnings kicked off at a bistro and led to the foundation of PHA. The camaraderie began 5 years ago when Ms. Bharti Kalappa invited her friends from the industry to catch up over food at Shiro, UB City in Bangalore that united them to form a Housekeepers group. Ms. Bindu Neel, GM of The Paul Hotel invited interested housekeepers for a meeting. Ms. Jayashree Nagaraj motivated the group to form an association called Southern Housekeepers Club. Another meeting was conducted at the Chancery Pavilion and the Board members elected were Ms. Bharti Kalappa, Mr. Rakshith, Mr. Kiran, Mr. Rudra, Ms. Jayashree Nagaraj , Ms. Asha Premkumar and VP L & D Ms. Rajani Ghatage. Ms. Jayashree Nagaraj the then president, launched SHC on the 11th October 2012. After successfully completing 3 years, numerous well-wishers including the Karnataka Govt. appreciated their vision and the mission that they had embarked on. This motivated them to take their association at the national level and reach out to more people; making a difference in their lives. Under the leadership of Ms. Nagaraj, the PHA (Professional Housekeepers Association) which established itself at the national level, came into being on the 21st May 2015. Ms. Bhavana Alvares was elected the President and Ms. Jayashree Nagaraj became the Founder President and Chairperson. Together they transformed their vison into reality and initiated many activities such as conducting workshops, delivering training programs, creating SOPs. Their efforts were appreciated by all. This association has been recognised by the industry, and have the executives from almost all hotel companies in the country, facility management companies, healthcare as well as many housekeeping entrepreneurs as it’s members. PHA is a non-profit organization with an objective to create a strong fraternity of housekeeping professionals from multiple verticals, providing an active, educative and credible pan-India platform to the cleaning industry. Thus, addressing along existing gap. PHA envisages establishing and implementing an effective and efficient structured programme in all aspects of Housekeeping service and covering all types of business facilities. It is aimed at creating sustainable employment opportunities and skill development programs for youth from marginalized sections of the society and support and encourage all employees in Housekeeping and allied industry with training, education and mentoring which is provided by conducting seminars and workshops which have the participation of stalwarts in the industry, from various fields where Housekeeping activity plays a predominant role. PHA enables sharing of knowledge and fostering professional self-development of each member which benefits the housekeeping industry. The association represents a vast industry that was always there but never acknowledged and hardly recognized. In India, professional cleaning needs to be mechanized, organized and respected. Small changes will make huge differences. PHA will be able to assess the cleaning needs of a certain area and provide the road map towards total cleaning solutions. Study the cleaning industry as it exists in all states of India. They want to gain the perspective of the housekeepers there and thus help make systematic, locally viable processes that deliver large scale improvement in housekeeping standards. In fact PHA has launched it’s new chapter the PHA YUVA. PHA YUVA, was constituted as a formal platform for the youth aspiring to be a part of the hospitality industry making their careers in the housekeeping department. In essence, PHA Yuva is for the students, by the students, mentored proficiently by the executive committee of PHA, it’s Chapter members and industry professionals. The primary objective of the PHA Yuva platform is to bridge the gap between the industry and academia. It provides a dedicated forum for networking with industry leaders in the field of housekeeping and related endeavours. It strives to build a knowledge sharing base for the students of all the member hospitality management institutes. The student members can acquire assistance from EHKs of reputed hotels for the projects given by their institutes. PHA encourages Yuva members to take up housekeeping related research projects in collaboration with life member EHKs, facilitating property visits being one of them. The students benefit from the industry visits organised by PHA such as linen tours, factory visits to see cleaning chemicals and guest room amenities and so on. The members will be able to keep in touch with the latest developments in the hospitality industry through information and knowledge sharing with- the hotel professionals, healthcare experts, facility management professionals and other hospitality management educational institutions. They also can seek guidance on standards, latest trends and technology and handling complex situations. Yuva members are eligible to attend all the knowledge sharing, valuable training sessions organised by the PHA. The member students can enhance their career opportunities through mentorship under professionals from the industry. Apart from this the PHA Yuva forum provides students an opportunity to showcase their talents and benefit from an association that focuses on lifelong learning. The three day event at Hitex City in Hyderabad has been a very well organised and managed event. With enthusiastic participation from the suppliers, manufacturers and industry partners, Mr. Brijesh Edwards has created a truly synergised platform true to their own name ‘Synergy’ that’s into the core business of managing events, expos, conferences and more. India HoReCa organises exclusive trade fairs for the hotel, restaurants and cafe businesses. Over the years they have become a force to reckon with. Day one was dedicated to hotels; specifically housekeeping and to PHA as well as launch of PHA Yuva at Hyderabad. Day two was meant for kitchens and bakeries both manufacturers of equipments as well as the chefs who conducted demos. Day three was also on similar lines as the first two days. There were panel discussions, book launches, demos and interactive learning sessions. The attendance was good and the media covered the event equally well. I was there on the inaugural day and attended the events of PHA. What I liked the most is the work done and the projects taken up by PHA for the community. 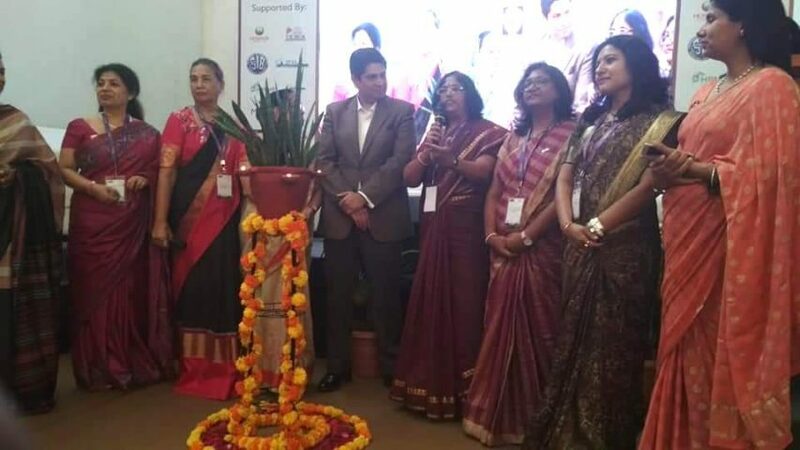 Telangana Chapter under the mentor ship of Ms. Suchitra Naidu and Ms. Ravinderpal Srivastava with along with the dynamic ladies from the academics Ms. Nirupama Patra, Ms. Smritee Raghubalan and Ms. Mary have done commendable work. Ms. Naidu explained the projects that they have taken up along with the Police such as adopting schools and making the basic facilities available to them. Carrying our cleanliness drives and beautifying areas in and around the city was noteworthy. Their job involved creating awareness, imparting knowledge, providing basic training and making a difference in the lives of people. PHA works closely with many state governments on their social projects. The Founder Chairperson Ms. Jyashree Nagaraj spoke about the work done by PHA in Karnataka, Goa and Delhi. Their vision is to involve more professionals and cover more states so that they can contribute to nation building, making housekeeping more meaningful and serving the larger community. I come back bringing with me so much more than probably I could contribute to this forum. Got to connect with some of the best in the business, passionate about their work – thorough professionals. 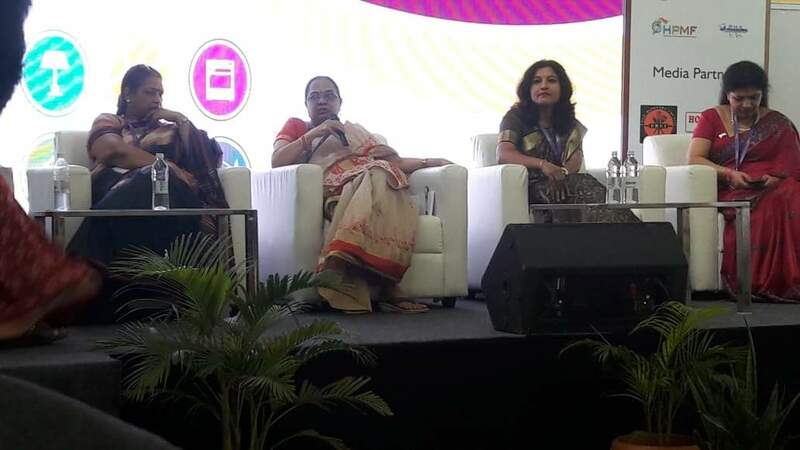 I shared the stage with Ms. Usha Ramalingingam, Ms. Kalyani Balasubramanian, Ms. Anita Chandran and Ms. Ravinderpal Srivastava. Each one of them being institutions in themselves; brought so much so much to the table. Varied points of views and analyses of different situations. And it was heartwarming to see the city being very forthcoming and hospitable. To say we were all over the newspapers wouldn’t be wrong! Who doesn’t like a little appreciation specially if it’s for the fraternity, to support social causes and nation building. 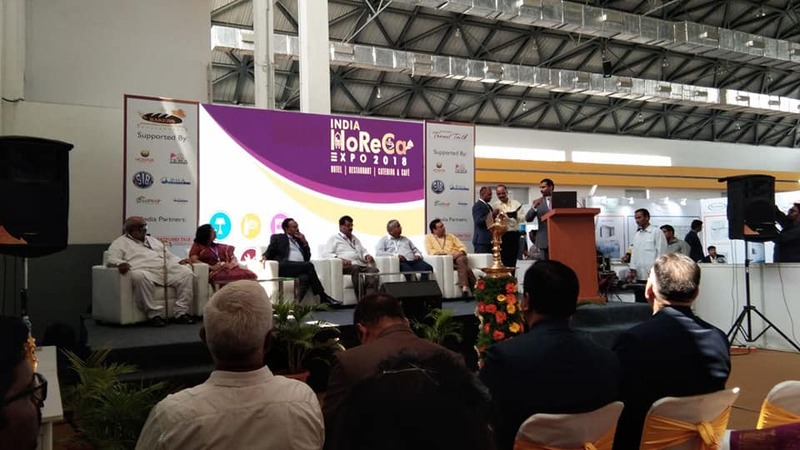 I felt it an honour to be a part of this event that brought industry, academia, suppliers and manufacturers all on one platform with the sole purpose of synergising.